we are going monochromatic. Caleb had been to the downtown park a few months ago and I thought the pictures would be perfect for this challenge. I love working with greys because even though grey is a neutral, there is just so much life to it. 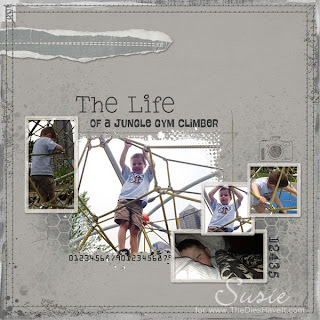 And being a digital scrapbooker, it is easy to turn most any color into a grey tone. Give it a try if you haven't before. I think you will like the result you get.